Backpacking is a simple and inexpensive travel usually gone for long distances. People don’t tend to bring their car for a backpacking trip as the responsibility to guard their vehicle shall kill the real spirit and curiosity of the trip. Backpacking can be done in forests, hilly regions, beaches or even to various countries. As a whole, backpacking helps an individual to get rid of various thoughts which strains the comfort and peace of an individual. Backpacking cannot be simply done with empty hands. Some people shall go for a 5-day trip and some other shall go for a long trip. Whatever may be the duration of the trip you undergo take all the basic requirements like your backpacking sleeping bags, food items, weather gear, hiking shoes, sunglasses, jackets, etc. 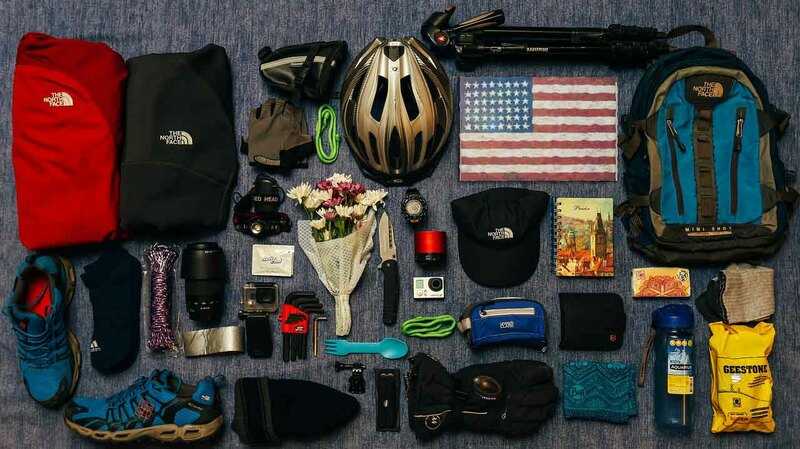 Moreover, how can you remember the backpacking trip after you return from your trip? Hence, a camera seems to be a crucial element to be taken with you while backpacking. Photographs clicked from the camera shall be a memorable gift to any individual setting out for a backpacking trip. 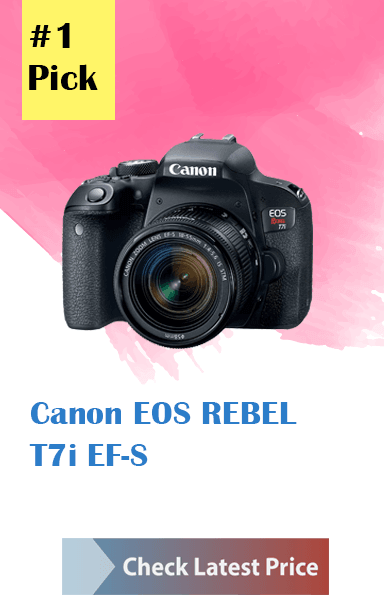 Cameras which you use for backpacking are available in various specifications including digital cameras, SLR cameras, point to scene cameras, DLSR cameras etc. 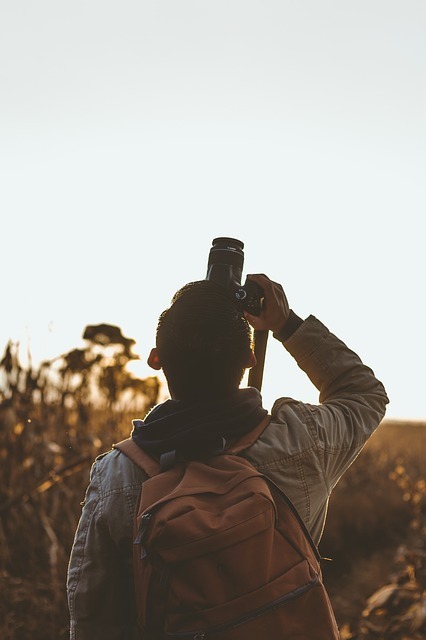 Even though digital cameras have a lot of advantages over any other cameras, most of the people tend to prefer DLSR cameras while they set out for any type of backpacking. As you know primitive cameras seem to be a box-like structure which can record a photograph on a screen by adjusting the illumination with a cloak. SLR stands for Single Lens Reflex camera. It consists of a mirror and a prism system to focus the light from the object on the film. 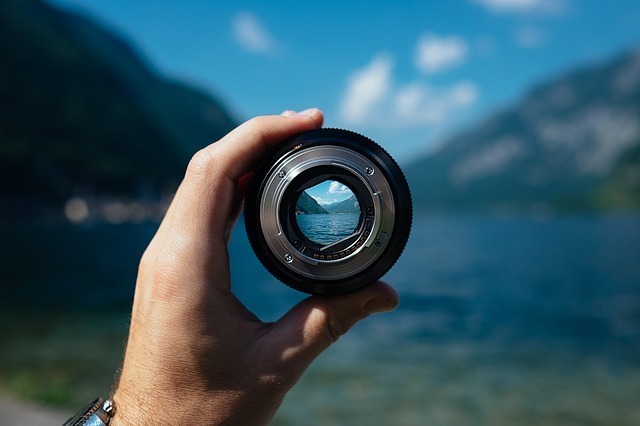 The front mount lens collects the light from the object with appropriate focus and makes them fall on a mirror which is kept at an angle of 45 degrees. The image in the form of light is passed through a prism enabling the user to view the image. Once the button is pressed the mirror snaps out of the path of the light thus making the light to fall on the film made up of thin plastic and gelatin. Moreover, the 35 mm film used in SLR cameras can only store 36 images; once you finish 36 clicks you have to change your film rolls. The normal digital cameras are made up of LCD viewfinder which enables the user to see the snapped picture on the LCD screen. The light from the object falls on the image sensor through the photographic lens. The processed image in the sensor is sent to the LCD viewfinder enabling the user to view the image. But, in these cameras, the information of the real picture and the picture in the image sensor shall not be the same causing noise and grains. DSLR stands for Digital Single Lens Reflex camera. Digital cameras also use a single lens and a pentaprism system to record the images like an SLR camera. But unlike the SLR camera, the DSLR camera stores the image in an SD card which allows the DSLR camera to store thousands of images. 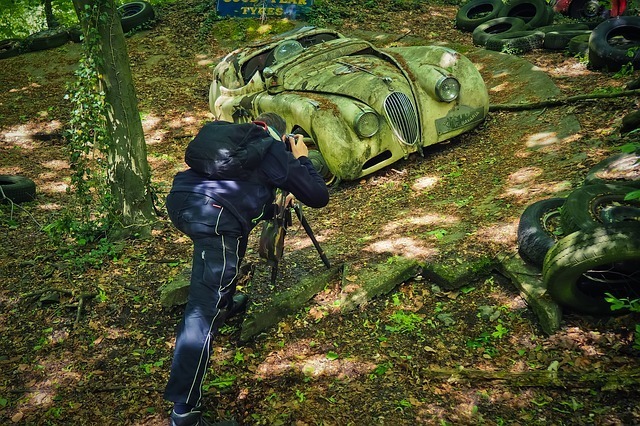 Backpacking with a DSLR camera inside the woods shall be risky as they are easily vulnerable to damages and bruises. Unfortunately, there is no other way to record the pictures with such an immaculate quality. Hence, proper protection for the DSLR camera needs to be ensured before employing it. Mentioned below are some techniques to backpack safely with a DSLR camera. Whatever shall be the trip you undergo, it is very important to pack your basic amenities before you leave for the trip. You have to carry enough food with you because the place you are about to go shall not be encompassed with food stores. At such times, having your camera alone in your bag shall not render any help to suffice your hunger. Moreover, have a small portable dwelling, which can help you when you stay in adverse climatic conditions at strange and uncommon places. Have a good source of light, first aid kit, water and a sleeping bag. Without adequate sleep, waiting for a good moment to click your camera shall give you only imperfect and unsatisfactory photographs. Make sure that you pick some rubber tiles for your small tent if you are backpacking to a place with cold climate. Rubber tiles can keep your body insulated from the ground thus preventing you from the loss of body heat. While going for a backpacking trip to cold regions, it is crucial to collect some anti-humidity sachets from your nearby stores. Even if you protect your expensive camera with extreme care, the moisture in the air can travel through the minute openings in your bag and enter your camera. This humid air after entering the camera encounters a change in its surrounding temperature and thus converts itself into water droplets causing your camera to flash hazy photographs. When anti-humidity sachets are placed inside the camera bag, the humidity shall absorbed by the sachets thereby providing protection from the moist air. When hiking with your friends for long distances, you cannot expect your co-hikers to wait for you to pull your camera outside your bag every 15 minutes when you encounter some attractive sight. So, a proper place should be suggested to house your DSLR camera in such a way that it can be easily accessed. Don’t pack your camera at the bottom most part of your bag which shall really prove to be irritating and unsafe. Place it in the bag in a position that it shall not be damaged, when your backpack bangs against rigid materials in the woods. Usually, people hang it over their neck so that they remained ensconced near the heart of the user. But, when your walk swiftly the camera shall dangle and hit somewhere causing serious damage. Hence, finding a small bag attached to the chest of the user with diagonal cords shall provide protection and easy access to the camera. 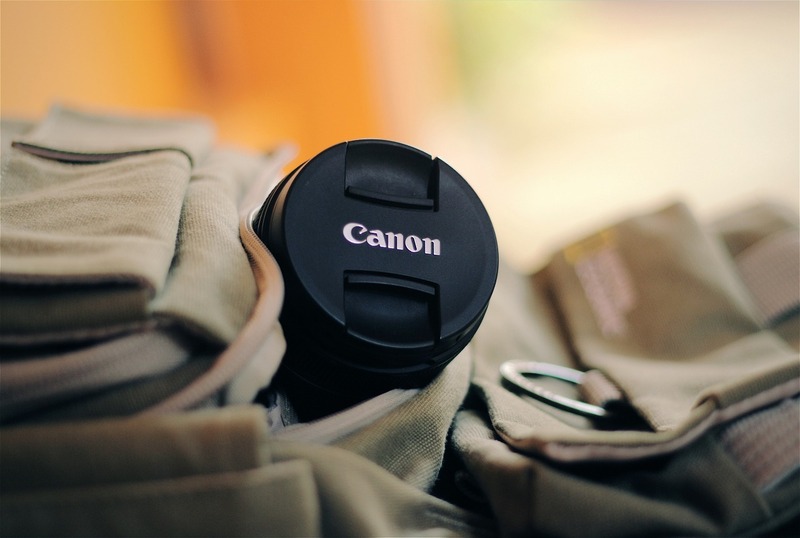 One of the attractive features of the DSLR camera is the option to change the lens. The lenses are usually represented in terms of f-number which is the focal length of the lens with respect to the diameter of the aperture. The standard lens specifications include 1, 1.4, 2, 2.4, 4, 5.6, 8, 11, 16, 22, &32. These lenses of various f-numbers can provide a clear and high quality image on the sensor thus producing a noiseless image. Moreover, while going for a hike carrying all these lenses shall fill your bag. Weight of the lenses can also affect you heavily. Then how can you carry your basic needs? So, it is enough if you carry one lens with a standard f-number while you set out for backpacking. Tripods are usually metallic stands that house the camera on top of it. This allows the camera to be free from the shake of human hands. But, carrying a metallic tripod which is around 30 pounds for several miles is not a wise plan. Hence, carbon fiber tripods shall be great as they provide high strength and less weight. Furthermore, placing the tripod at vulnerable sides of the backpack can also hamper your hike. Placing it at the bottom shall accumulate dust on the tripod which is not healthy for your camera. At the same time, placing it at the top of the backpack shall pull the thorns, and hanging plants in your path thus providing huge resistance while you walk. Hence, placing it on the sides shall prove to be an intelligent idea. Cameras usually are not waterproof gadgets. They need to be housed inside appropriate bags to keep them away from water. A dry bag shall be an excellent suggestion but, reinforcing the camera inside a plastic waterproof cover shall provide additional protection to the device. Waterproof covers which open only at the exposure side of the lens shall be supportive at times of fog and snows. While backpacking for a long distance people don’t provide great importance to the camera accessories as they care for their camera. But, they forget that their cameras shall not work without batteries, memory cards etc. If you use your hand to snap the shot while you are waiting for a particular moment there is possibility for the camera to get disturbed which can completely spoil the snapped picture. In such cases, cameras can be supported by remotes to snap the photographs without disturbing the camera. Sometimes when you take photographs in a landscape with limited amount of sun rays, pictures shall appear to be blue. This is because of the presence of the UV light hindering the quality of the image. Such discrepancies can be rectified using a UV filter which prevents the blue haze of the UV light in the stored picture. Furthermore, there are clear filters which prevent the deposition of the dust and sand on the lens of the camera.